I love love love weddings! Everything about them! 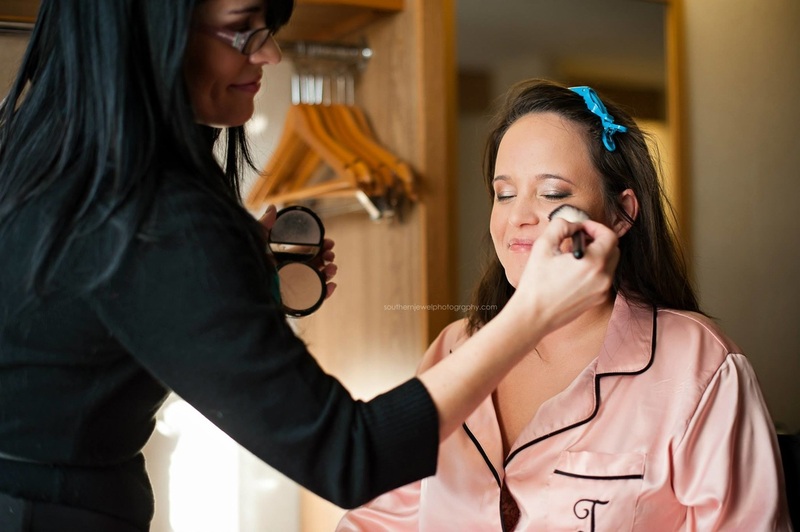 I am honored that you are thinking of hiring me to do you makeup (and/or hair styling) for your big day! Here is a little background info on me as a "wedding vendor". It wasn't until 2004 that I booked my first wedding. All of my makeup work before then had been theatrical or commerical production work with maybe a dash of a photoshoot here and there. In 2004, I booked my first wedding in Los Angeles. Sure, I had done friends wedding makeup and hair in years prior, but this was my first true bridal booking where I did not know the bride beforehand. It was fun and I enjoyed it, but mostly because it was a fun day of making someone beautiful and it was a nice change from the production work I was doing daily. 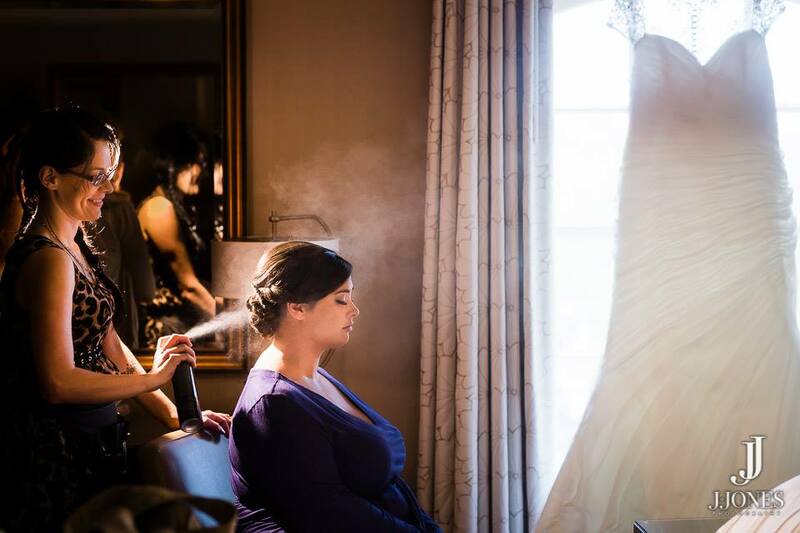 I continued to take bridal work when the inquiries came in and also worked for the company, FairyTale Hair and Makeup in Los Angeles as one of their contracted artists. Then, in the fall of 2005 I was married myself and everything changed! Shortly after, my husband and I welcomed our first child and we decided to relocate from Los Angeles and finally chose South Carolina as our family destination. Shortly after our move to SC, I was contacted by a bride getting married at the Ryan Nicholas Inn in Simpsonville, SC. The whole process just had me gleeful as it was my first bridal booking since my own wedding. I now truly understood the importance of the day. It was no longer just about making someone pretty. It was about making someone the most beautiful and confident version of herself on the most important day of her life! And I was asked to help make that happen! After that, I decided to look more into becoming a bonafide wedding vendor, working with companies like Wedding Wire and The Knot. Since then, I have been featured on both Wedding Wire and The Knot and have received vendor of the year awards and bridal choice awards with both companies multiple years. Each year that I have worked in South Carolina my bridal business has snow balled and I must say, I absolutely love it. I have been featured in numerous bridal magazines and blogs as well such as For the Modern Bride, Weddings with Style and Style Me Pretty to name a few. I work with many local bridal vendors and close relationships with photographers and planners alike. I do have a list of references if requested. I also own/manage a team of artists (Cotton Rouge & Company) so that in the event that I am unavailable, I can set you up with an artist that will work perfectly for you. I do also have strong connections to many other beauty vendors in the area so that I can always help you make sure you are making the best beauty choices for your event. I am a firm believer that a bride should feel like the most wonderful and beautiful version of herself on the big day. I have worked with clients of all types from those who wear little to no makeup on a daily basis to those who like to live life a little more glam! I have also worked with all ethnicities and am well equipped for it in my makeup kit as well as working on many ethnic wedding traditions including Vietnemese, South Asian, Indian and more. Aside from knowing all different skin types and tones, it is important to know high end beauty products that have both durablity for all day wear (the products I use are waterproof, smudgeproof and extremely long wear of 18-24 hours) so that they remain flawless all day, look amazing in photographs but also still look just as amazing in true life and not like you have a face full of makeup! To acheive this I use a combination of airbrush and traditional makeup application. I feel that my training in production work as well as years in bridal have really helped me to hone in on the best products available as well as help me to work in the most efficient manner. I am also accomplished in event hair styling so that your hair style will last thru photos, ceremony, photos and then some heavy dancing! I am available for hire in both makeup and hair styling, though I am happy to be hired one or the other. I know many brides already have relationships with stylists (particularly their hair stylist) and I am more than happy to accomodate such. I am a fully mobile service and will come to you with everything necessary to turn your getting ready location into my own little studio. This includes a state of the art lighting kit, chair, table and mobile makeup station. It also includes assistants in the event that your bridal party needs such! ​I have many bridal reviews that you can read from past clients as well!